The Mavic Pro 2 wasn’t released January 23rd, but the Mavic Air was. The specs on the Mavic Air are pretty impressive, but looking closer at them and its price point ensures that DJI is definitely not done with the development of the Mavic. The Mavic 2 is coming and it is going to be awesome. We have a little bit of intel about when you can expect it and what it is going to be. DJI planned to release the Mavic 2 on July 18th, but it was postponed. The DJI announcement on July 18th is likely to tell us detail of the Mavic Pro II. We see here in this new leak that there will be multiple Mavic 2 versions. Expect a version with a 1.7″ sensor as well as a 1″ sensor. Zoom and interchangeable lenses are also in the works. Read more about that here. Take a look at this leak from Argos. The original DJI Mavic was a game-changing drone. Its ability to fold up to the size of a 1-liter bottle paired with its impressive specs made it the most talked-about drone of 2016. So what will DJI do with the Mavic 2 to make this awesome drone even better? Rumors of an upcoming announcement are starting to surface. We’ll fill you in on the latest leaked information, the additional upgrades we think the Mavic 2 will have, and engage in some wishful thinking about what features would be awesome but are somewhat less likely to be included in the next Mavic. 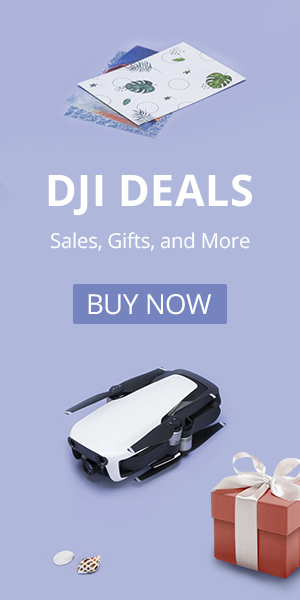 It is also possible that DJI takes a different course and releases a more inexpensive Mavic, called the Mavic Standard or possibly the Mavic SE. We are optimistic that DJI will release the Mavic 2 and the Mavic Standard on the same day. While a Mavic Standard is still possible it seems the Mavic Air has filled that niche. Read more about the Mavic standard here. If you aren’t into speculation and you don’t want to wait around for DJI’s next drone then check out their newest one, the Mavic Air. We compared the cameras of the Mavic Air, Mavic Pro and Spark. The results are pretty amazing. A More robust drone – Some Mavic users have stated issues with the folding arms. The joints need to be stronger so that they don’t fail over time. Also, the gimbal guard isn’t as strong as it could be. 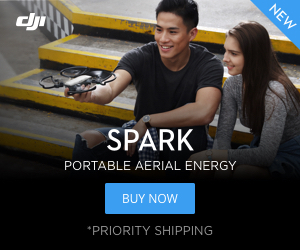 Our sources say that making the Mavic a stronger drone is DJI priority #1. Improved camera and gimbal – The original Mavic camera is good and we’d expect the next edition to be better. There are some issues with shooting video in 60/96fps and DJI will address that. We have heard rumblings of a one-inch sensor. There might even be two different camera options. A 1-inch sensor and a 1/1.7″ sensor The Mavic Pro II will basically have the same award-winning camera that the Phantom 4 Pro has. The gimbal could use better isolation to reduce the dreaded jello effect. We are hoping they can extend the field of view, which is currently about half of what the GoPro Karma offers, but we doubt they will do that. A great feature they could add is a variable aperture in order to slow down the exposure in brightly lit conditions. One more issue with the Mavic Pro is that the gimbal tends to heat up quickly. We believe the new camera and gimbal combo will be better and more efficient even though it will be larger. Better flight time – The Mavic currently has a flight time of 27 minutes. If you opt for the Pro Platinum version you get an additional 3 for a total of 30. Our man OsitaLV claims the new Mavic Pro II will have a 33 minute flight time. OsitaLV has been pretty close with both the Mavic Air and Spark predictions. Better range – The current Mavic has an impressive range of 4.3 miles. The next edition of the Mavic should be able to eclipse the 5-mile range problem. Faster – The original Mavic can hit speeds of up to 40 mph. We wouldn’t be surprised if the new sportier Mavic 2 can top 45 mph. Better Obstacle Avoidance – The current Mavic has front camera sensors, but the Mavic 2 should have front and rear cameras to help it avoid obstacles. It will also likely have the smart avoidance system seen on the Mavic Air. Quick Setup/Fly by Gesture – The DJI Spark was a game changer in that you can take the drone out and get flying in seconds. It wouldn’t be a surprise if the new Mavic 2 also had a quick setup option and could fly by gestures like the Spark and the Mavic Air. While we aren’t necessarily fans of the flying by gesture we do appreciate the ability to fly quickly and easily. Will the Mavic 2 be easier to set up than the upcoming Spark 2? Our first five suggestions are fairly likely to happen, but if DJI really wanted to up the ante they would consider these improvements to the Mavic 2. 1. 360° camera – The newest 360° cameras are impressive. They take awesome interactive videos and it would be a welcome addition to the Mavic. We know that Kodak has been testing their 360-degree cameras on the Mavic and this is one upgrade we really want to see. We’ve done our own tests with the LG 360° camera on a few different drones. The footage is impressive and with the LG 360° camera coming in under $130 it is a steal. Check out some 360° footage we took using the LG 360 Cam attached to a Phantom and our MJX Bugs 3. Whether or not DJI decides to add a 360° camera to the Mavic 2 you can still add one on your own. Check out our research on the best 360° cameras out there today. 2. Waterproofing – Lots of people love to film at the beach or on a lake, but doing so can be a nerve-wracking experience for the drone pilot. Making the Mavic 2 waterproof would ease a lot of those worries. We know it can be done. DJI just announced the new Matrice 200 series that can fly in the rain. It may be a leap to think they would put such a feature in the next Mavic, but DJI has surprised us before. 3. Removeable gimbal – One thing that the GoPro Karma does better than the Mavic is that it allows the user to remove the gimbal and take fantastic still video on foot. Adding the ability to remove the gimbal would eliminate the Karma’s advantage in this one area. While this is something that we would love to see, we don’t think it’s very likely. A removable gimbal will cause some sacrifices in size and flight time and it’s not consistent with DJI’s model of selling separate gimbals like the Osmo and Osmo mobile. 4. Smaller form factor – Yes, when the Mavic is folded up it is only a little bigger than a 1-liter water bottle. What if they could make it fold up to be the size of a can of Coke? That would be impressive. 5. 360° obstacle avoidance – Above we predicted rear camera sensors for the Mavic 2. Wouldn’t it be nice if it also has side, bottom, and top obstacle avoidance? An “uncrashable” drone would allow for a new level of confidence when flying that would really set the Mavic apart. Why not upgrade the low-resolution obstacle avoidance cameras a bit and turn them into a 360° video recording system as well? Anything is possible. While we don’t really know if the Mavic will have waterproofing or a 360° camera, we are convinced that one of the big drone makers will come out with a game-changing technology in 2017. With no tether or height restrictions, drones are the perfect platform for 360° cameras, a new and exciting emerging camera technology. We believe that a 360° camera drone is right around the corner, will DJI be the first to pull it off? We also believe that a waterproof drone would give a drone maker a huge advantage, and we expect more offerings in this space in 2017. This upgrade will allow for more and better video capture in rain and snow as well as the ability to fly near waterfalls, whitewater rapids, and heavy surf. When Can We Expect the Mavic Pro II? It looks like the Mavic II Pro wil be released sometime this July 18th. It also looks like the price is going up. We are expecting that the new Mavic Pro II will start around $1200-1300. You can see where we think some of these drones will land in the general pricing structure for DJI. Are you ready for the Phantom 5? We have some ideas on what you can expect from the DJI Phantom 5. Check it out.